You can help families with sick or injured children being treated in Tucson hospitals. Volunteer at the Ronald McDonald House, Ronald McDonald Family Room, or drive our Shuttle. Make a donation or view our Wish List. Cook a meal as "Chef for a Day" or join the Red Shoe Society. Explore the options below to determine what fits you the best. The RMHC of Southern Arizona qualifies for the Arizona Charitable Tax Credit, where you can receive a dollar-for-dollar credit on your State tax returns. This year the maximum amounts have increased to $800 for married couples filing jointly and $400 for those filing as single. 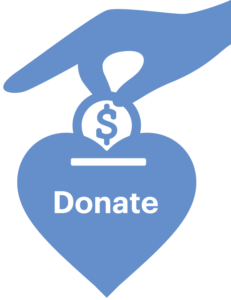 This credit can be taken in addition to school and foster care credits, and you can also make monthly donations that can be spread out over an entire year. If you are interested in a planned gift, donating appreciated securities, automobile donations, matching gifts, and more, click on “Other Ways to Give”. House volunteers are front-and-center in providing support for families needing to stay close to the hospital overnight. Duties include keeping the house clean and organized, but also responding to our guests when called upon. 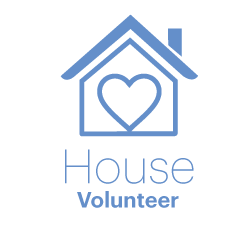 Because this is an important and sensitive responsibility, all prospective volunteers must complete and submit a volunteer application and meet with the program manager for a House tour. Our volunteer drivers transport families to and from local hospitals Monday – Friday, with morning & afternoon shifts at 3-hour increments each. All prospective volunteers must complete and submit a volunteer application and meet with the program manager. In addition, all applicants must be over the age of 25, have a valid and current Arizona driver’s license, have current proof of automobile insurance, submit to a Department of Motor Vehicle driving record review and a background check. The Family Room, located on the 4th floor in Banner Children’s-Diamond Children’s Medical Center, is a chance to support families inside the hospital. This room serves all pediatric inpatient families at BCDCMC. A special space near the neonatal intensive care unit, the room provides a much-needed respite for families while staying close to their child. 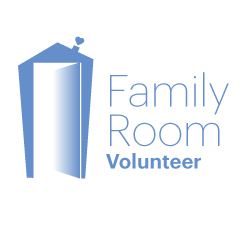 The volunteer’s role is crucial to maintaining the friendly, caring atmosphere of the Family Room, while upholding all Family Room and hospital policies. Given the highly sensitive environment, all prospective volunteers must complete and submit a volunteer application and meet additional hospital volunteer criteria. Members of the Red Shoe Society are leaders in the Tucson and Southern Arizona communities, making a difference in the lives of families with seriously ill children. Together they create opportunities to develop professionally and network with other community leaders, all while volunteering and raising funds for Ronald McDonald House Charities of Southern Arizona. We all love “comfort food.” At Ronald McDonald House, the term takes on new meaning through the home-cooked meals we provide at no additional cost to our guests. 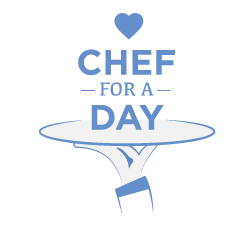 Our Chef for a Day program is a satisfying, creative and fun way for a group to volunteer. Put your team’s culinary skills to the best possible use by scheduling a time to cook for our families. You’ve never seen a house like ours! We have four kitchens with five dishwashers, 28 bedrooms and bathrooms, seven washers and dryers and three living rooms. That’s a lot of detergent, cleaning supplies and toilet paper to keep our House operating! That’s where YOU come in. Keep us in mind as you shop for your everyday needs. Consider organizing a “wish list drive” for your school or organization. Maybe a “Laundry Bonanza” or a “Ziploc-O-Rama.” It’s a lot of fun and a great way to get more people involved to support our families. Every time you shop at Amazon, begin by navigating to smile.amazon.com and .5% of your eligible purchase will be donated to RMHC of Southern Arizona. It’s easy to get set up, and every little bit adds up. You can find more details on the About Amazon Smile page. Our pop tab-recycling program is a significant fundraising opportunity that is also fun for schools, clubs, and businesses. It’s a great way for kids to make a difference in their own community. 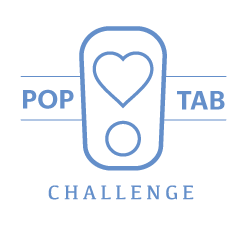 Over $25,000 has been raised through pop tab recycling since 2011! We recommend that you do not mail in what you collect, as it can be very expensive. Pop tabs may be dropped off at the House, 2155 E Allen Rd., between 8:30 a.m. – 6:00 p.m.
Because we rely on our community to help us raise money to support our mission, one of the ways to help is to organize a community fundraiser. If you or your organization would like to organize a fundraiser to benefit the families and children who stay at the Ronald McDonald House, please click on this welcome letter to get more details. 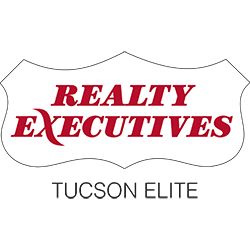 One example of an ongoing community fundraiser is our partnership with Realty Executives Tucson Elite.